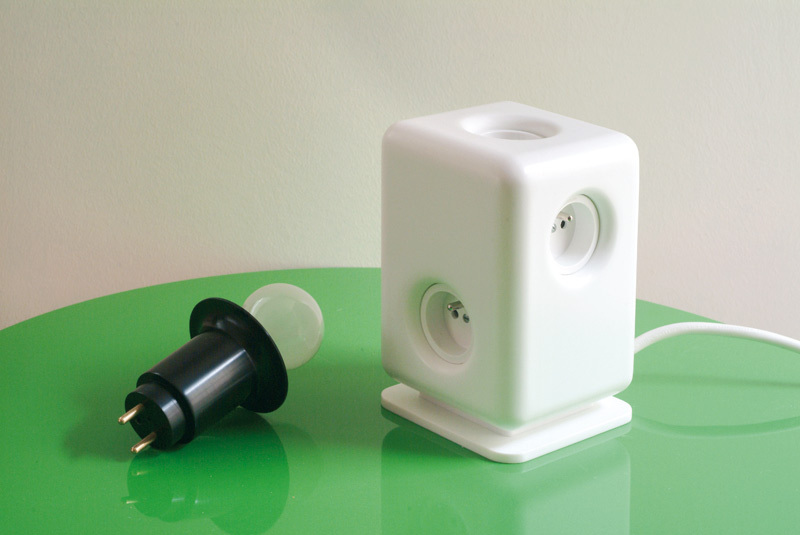 A mutiplug/lamp. 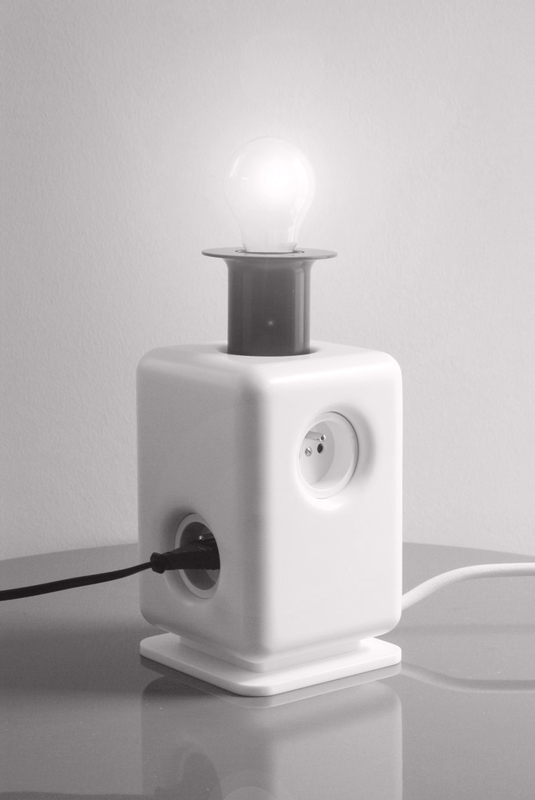 A convenient and usefull block which you can lay down on a table, a desk. The wire winds up around the base. 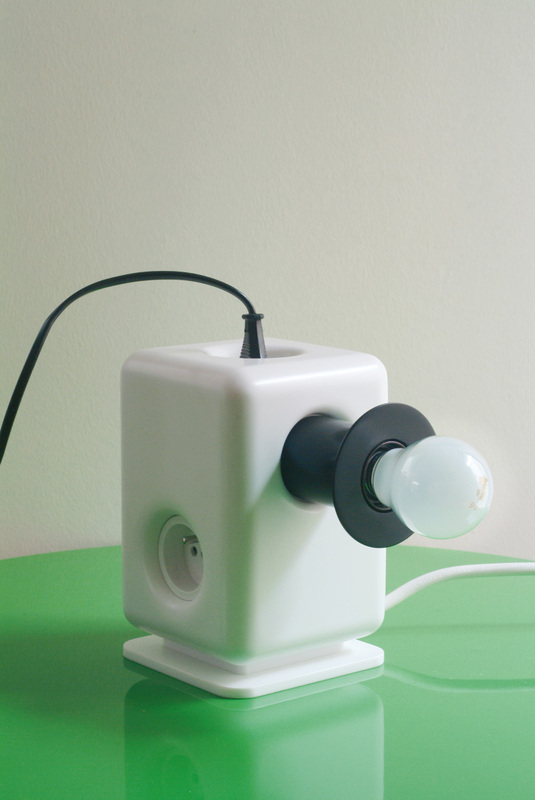 The lamp socket is made out of Corian, and can be plugged in anywhere on the block.